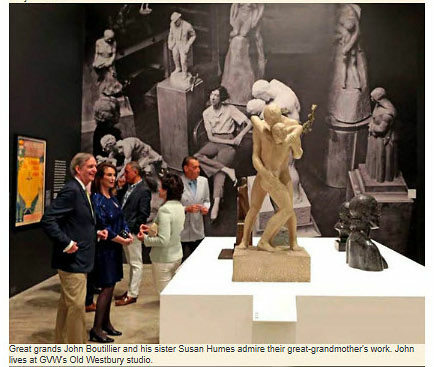 John LeBoutillier, the great-grandson of Gertrude Vanderbilt Whitney and a relative of William K. Vanderbilt Jr., has forwarded this New York Social Diary article on a recent gathering of descendants and friends of Gertrude Vanderbilt Whitney. 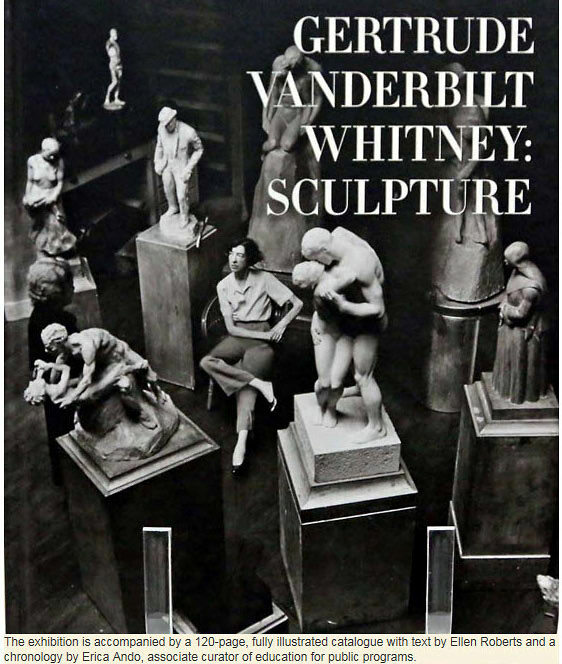 They convened to celebrate a retrospective exhibit Gertrude Vanderbilt Whitney Sculpture being shown at the Norton Museum of Art in West Palm Beach from January 25, 2018 to April 29, 2018. 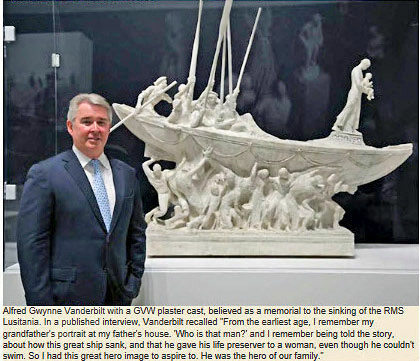 William K. Vanderbilt Jr. (1878-1944) was the great-grandson of Commodore Cornelius Vanderbilt. Known to his friends as Willie K, he was the second child and first son of William K. Vanderbilt (1849-1920) and Alva Erskine Smith (1849-1933). He was a railroad executive, an accomplished yachtsman, and a pioneer auto racing driver. At the age of only 26, William K. Vanderbilt Jr. proposed the first international road race to be held in the United States by donating the Vanderbilt Cup. 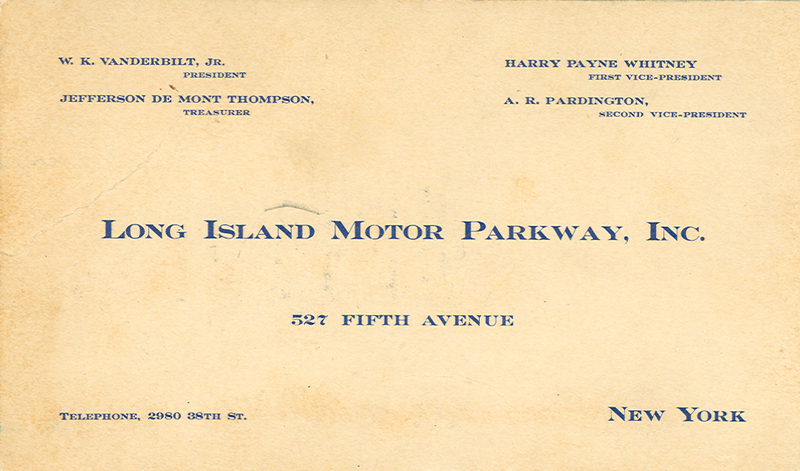 In 1906, Vanderbilt and his business associates met and organized to build the first parkway exclusively for automobiles- the Long Island Motor Parkway. 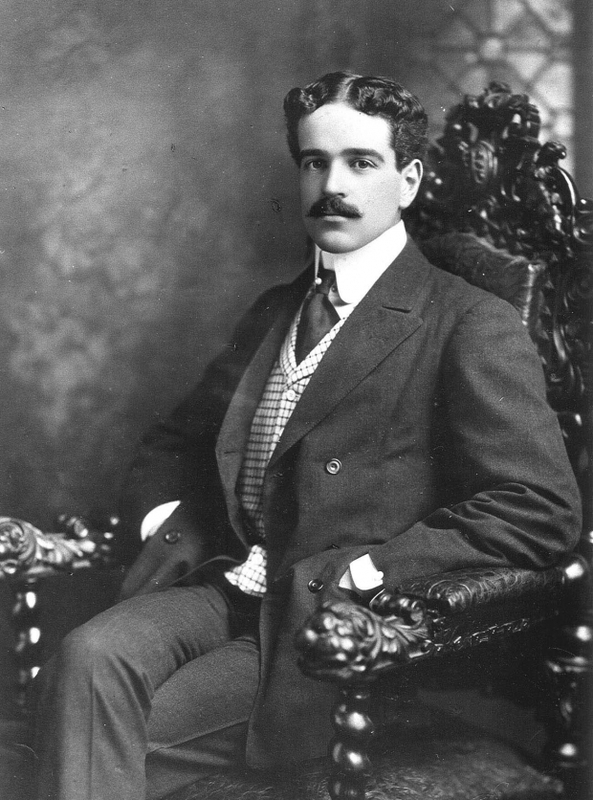 Alfred Gwynne Vanderbilt (1877-1915) was William K. Vanderbilt Jr.'s cousin and the owner of the FIAT driven by Paul Sartori in the 1904 and 1905 Vanderbilt Cup Races. Alfred Vanderbilt was traveling with his valet Ronald Denyer on the Lusitania to a meeting of the International Horse Breeder' Association. 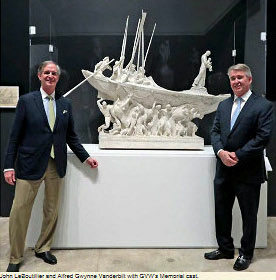 When Lusitania was torpedoed, Vanderbilt and Denyer assisted many others, especially children, to safety. Vanderbilt made no attempt to save himself, and was last seen giving his lifebelt to second cabin passenger Alice Middleton. Vanderbilt was lost in the sinking and his body was never recovered. 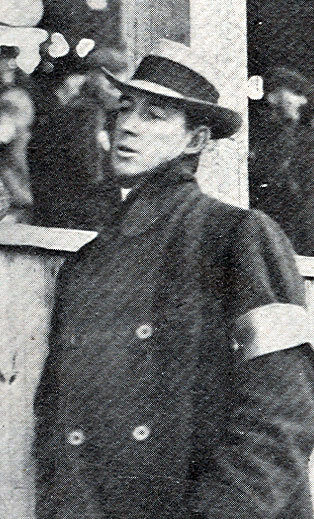 Elliott Shepard Jr. (1876-1927) was another cousin of William K. Vanderbilt Jr. and driver of the #6 Hotchkiss in the 1906 Vanderbilt Cup Race. During the race, he struck and killed a spectator in Mineola. As a result, plans for the Long Island Motor Parkway were begun. 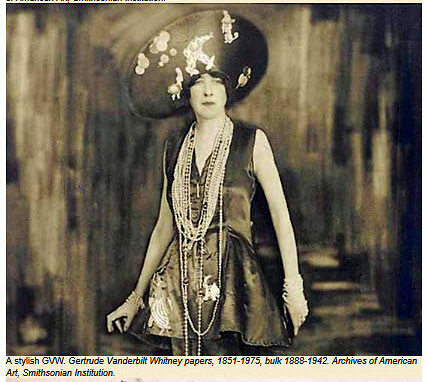 Harry Payne Whitney (1872-1930) was a prominent sportsman and businessman from the wealthy Long Island Whitney family. 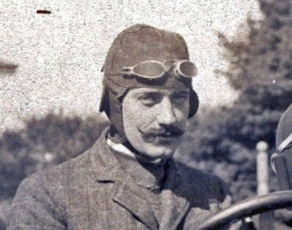 In 1909 he was a judge of the 1909 Vanderbilt Cup Race. 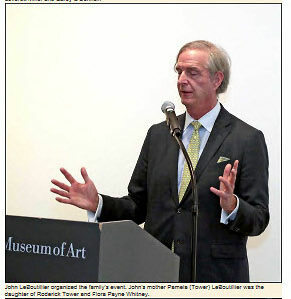 He was also involved in the development of the Long Island Motor Parkway and served as its first vice-president. Images from the New York Social Diary January 29, 2018 article. What’s interesting is the same Gold Coast families that were together in the early 1900s are still together. 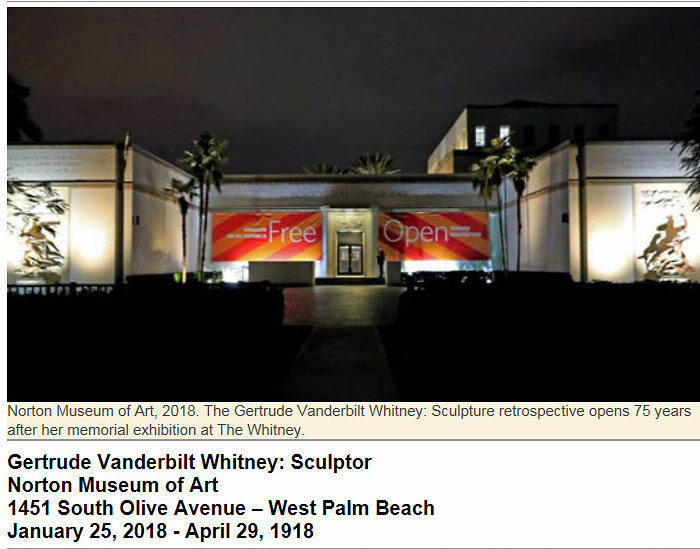 Whitney, Vanderbilt, and Phipps all had major wealth and Long Island estates, the same families stuck together in Palm Beach. 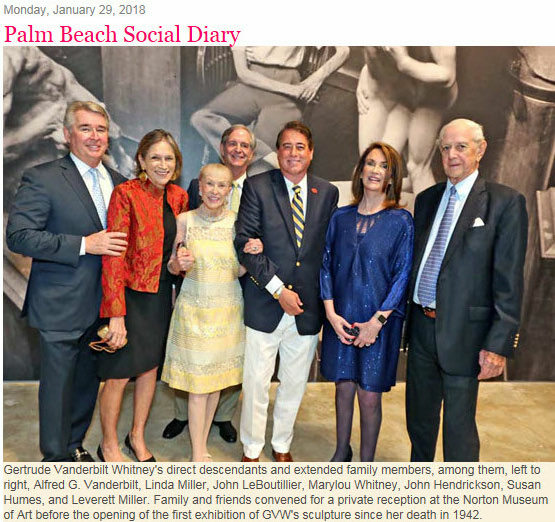 At one time the Phipps family owned approximately 30% of Palm Beach coastline. Not bad. Our current president likes it there too. He spends most weekends down there in what was formerly Post property, another Old Westbury resident.